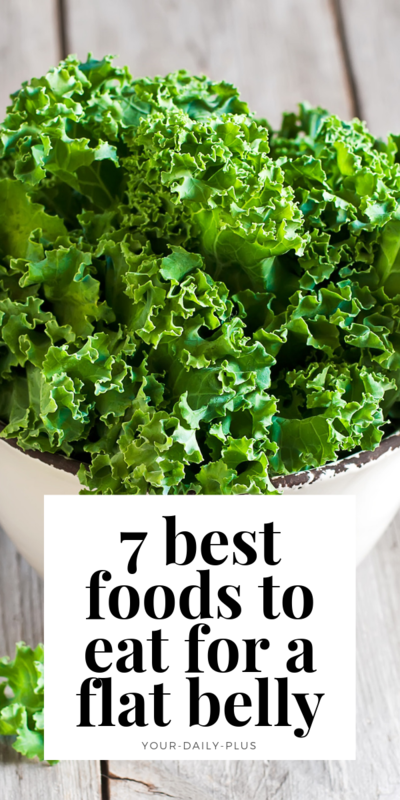 If you want a flat tummy and are trying to lose weight you MUST eat these 7 foods! Just because you are busy it does not mean you should let yourself go! And is there a better time to lose weight than right now? You might think losing pounds means more exercise right? It’s hard to lose weight in this generation of ‘Healthy Eating’, countless different types of diets have been thrust in our faces. For example, we have the paleo diet, the Mediterranean diet, the Atkins diet, Weight Watchers, Jenny Craig and so on. It can be difficult trying to follow along and keep up. What counts as a healthy food? What should you be eating? What shouldn’t you be eating? How much of this should you eat? To calm the confusion a little, here are some staples that should always be included in your diet everyday. 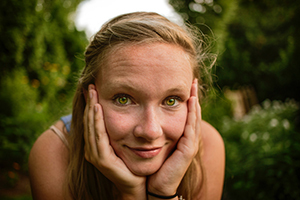 By eating these healthy foods that contain the macro-nutrients and micro-nutrients that your body desires, you will improve how you feel and how you look on a daily basis. These are the healthy foods you should be eating everyday for weight loss. Simple, I know. But eggs are a food that should be a staple in your everyday diet, and here’s why. Firstly, in one large-sized egg, you will find around 7 grams of protein, with 6 grams of fat and minimal carbohydrates. 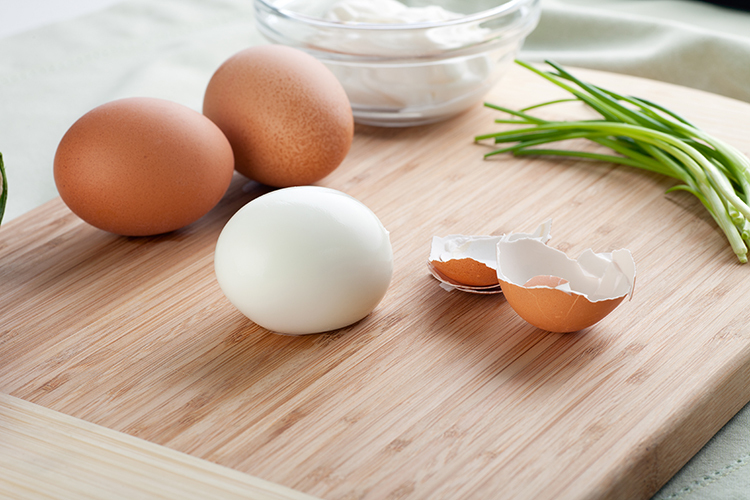 Not only does an egg contain a lot of protein, it also contains high-quality protein. This is measured by the different types of amino-acid chains found in the protein source. In eggs, these chains are found in the correct ratios to make it the most effective source of protein. This is great for your body’s recovery, muscle repair and skin repair. For those of you looking to lose some weight, eggs can be phenomenally effective as well, containing a good protein and healthy fat content, this keeps people feeling fuller for longer, supporting your dieting efforts. Furthermore, the micro-nutrients that are found in the yolk of the egg are great for supporting your body functions. In one large-sized egg, you will find small amounts of almost every vitamin and mineral recommended in your recommended daily amount. The vitamins found in the highest quantities include; Vitamin B12, Vitamin A and Selenium to name a few. All this from just one egg. And the best part of eggs; are the many different ways you can make them! Depending how you feel, you could have them scrambled, over easy, sunny side up etc. 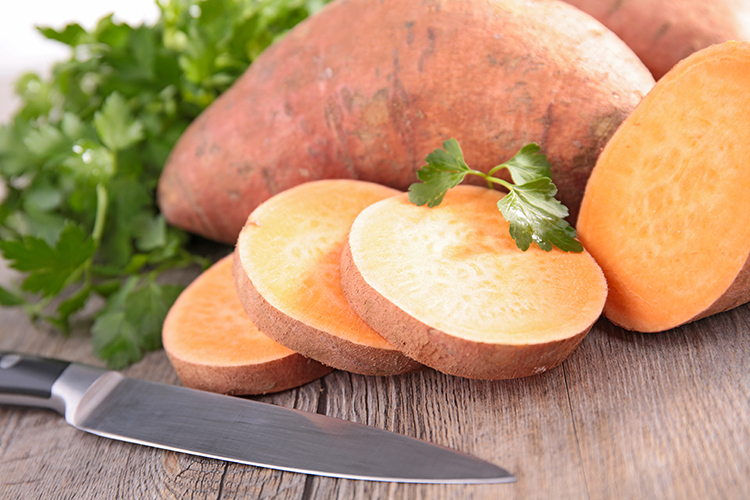 If you’re looking for a healthy carbohydrate source, look no further than the sweet potato. These orange spuds are filled with micro-nutrients to improve your health. In just one potato, it contains 400% of your daily recommended vitamin A, making it very nutrient dense whilst containing less calories than a regular, white potato. This complex carbohydrate takes longer to break down and digest than its simple carbohydrate counterpart, leaving you fuller for longer and reducing the chances of snacking during the rest of the day. It has a high fiber content and has heavy links with reduced blood sugar and insulin levels, important for those who suffer with diabetes. Sweet potato is often overlooked as a healthy food but provides great health benefits and is easy to make as it can be done in a microwave if you’re in a rush. With lots of different recipes available, you can include it in your everyday life without it becoming repetitive or boring. For those looking to lose weight or simply to include more nutrients in your diet, the sweet potato is the perfect carb for you. 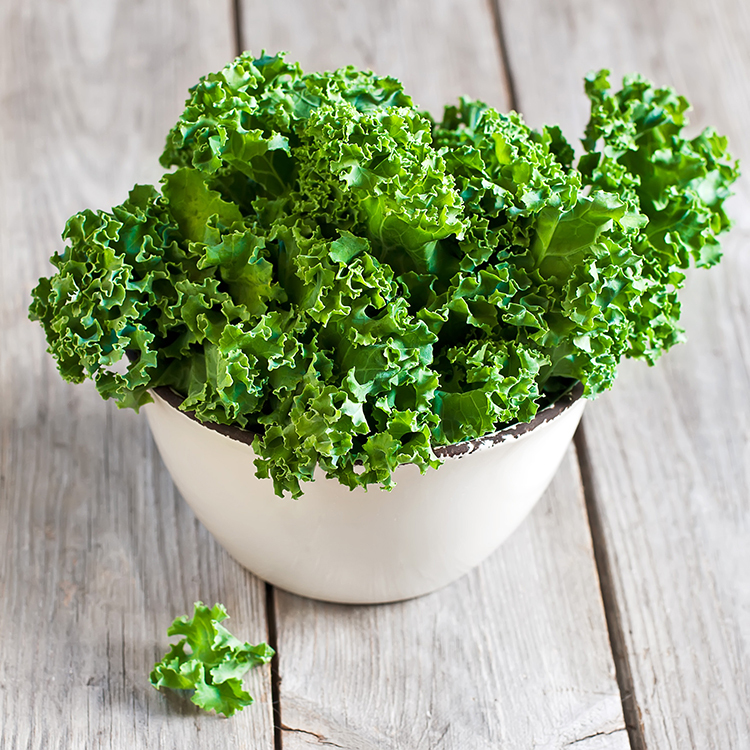 Yes, these leafy greens should be a staple of your healthy diet. I know it is not something that many look forward to eating or would like to eat everyday. But the health benefits are amazing! So, if you can find a way to fit them in, you definitely should. Here’s why: These two leafy greens are dark green meaning they contain more chlorophyll and packed more densely with nutrients. These nutrients include Vitamin K, which supports bone growth and is also good for the heart and lungs. Vitamin A, which helps to maintain skin function, giving you better looking skin and also supports the production of red blood cells. And these dark green vegetables also contain copper, which is healthy for the metabolism, crucial for those looking to lose weight but also for those who want to maintain a healthy weight. You can blend this into a smoothie or have a salad, but whatever way you want to fit these greens into your diet, they are a healthy food that you cannot afford to miss out of your healthy diet. Their fiber content will make sure your digestive tract will run smoothly and will also increase your satiety when you consume them. 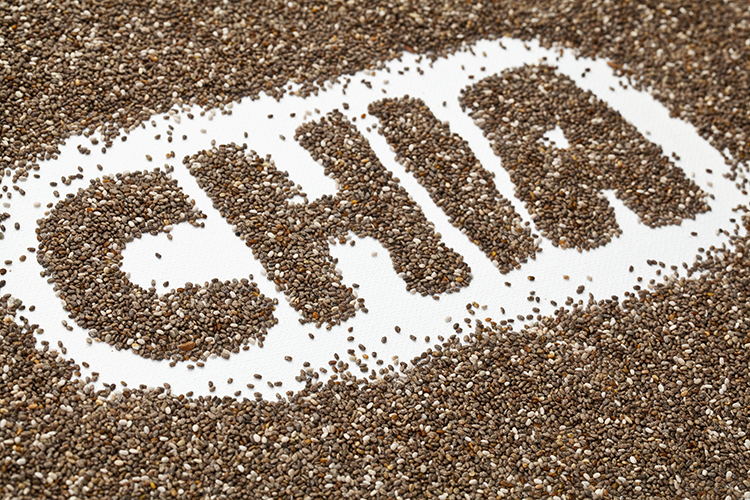 However, despite containing all this fiber, it’s the antioxidant qualities of chia seeds that is what makes this healthy food popular and recommended by experts. These tiny little seeds also contain a good amount of high-quality protein which has been proven to reduce craving and leave you feeling fuller for longer. Making it a food that can also support weight loss in addition to a healthy source of nutrients. This healthy food has been shown to reduce the risk of heart disease which a massive 610,000 people die from in the USA every year. Including these seeds in your diet everyday could reduce this shocking statistic and will prevent you from suffering the same fate. There are several simple ways you can get these into your diet; you can add them to a drink or a yogurt and you wont even notice they are there. Many are aware they should eat nuts for a healthy, balanced diet. However, they are unsure which ones they should eat, and the quantities in which they should eat them. By far the best nut to consume for a healthy diet are almonds. Not the salted kind though, they contain way too much sodium! Plain almonds are the way to go, rich in nutrients, fiber and protein; they are a healthy food that you should be eating everyday. These nuts are high in healthy fats and protein, meaning they stave of the hunger attacks and lead to a reduced appetite. 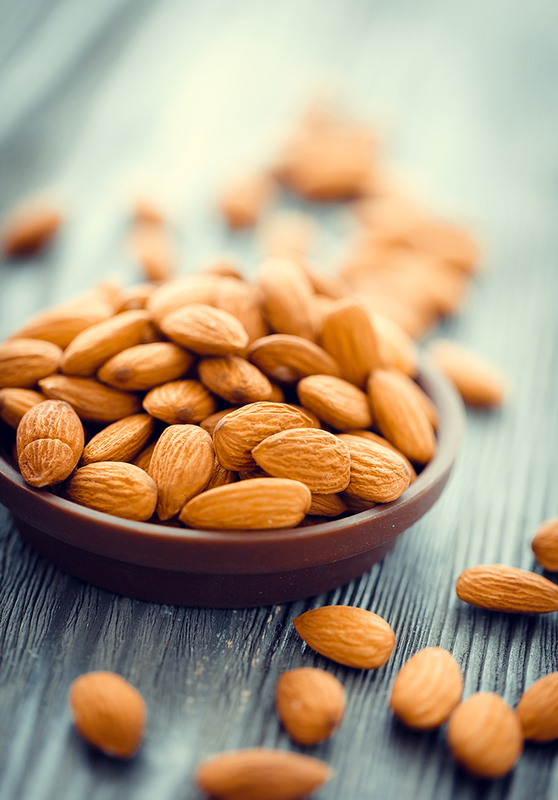 A number of studies support this statement with one showing that participants who ate a handful of almonds a day lost more weight and reduced their weight circumference significantly more than those on a nut free diet. As well as weight loss benefits, these nuts also contain high amounts of vitamin E, an antioxidant which builds up in cell membranes and prevents oxidative damage to these cells. Studies have supported the claim that having a high vitamin E content in your diet can lead to reduced risk of heart disease and Alzheimer’s. The health benefits of almonds are incredible, providing a lowered cholesterol, lowering blood pressure and supporting blood sugar control. These nuts really are a superfood! Berries are very good for you, and not only because they’re one of your five a day. They are high in antioxidants and help to fight chronic diseases. Not to mention the fact that, unlike some of the above healthy foods, these are very tasty and appealing to the palate. For example, in one cup of blackberries there is a huge 7 grams of fiber, supporting digestion and increasing satiety and these berries have also been shown to reduce the risk of cardiovascular disease. Not only that, but they are also packed with vitamins, such as vitamin A and C; and minerals, such as calcium and iron, to improve your body’s functions and overall health. 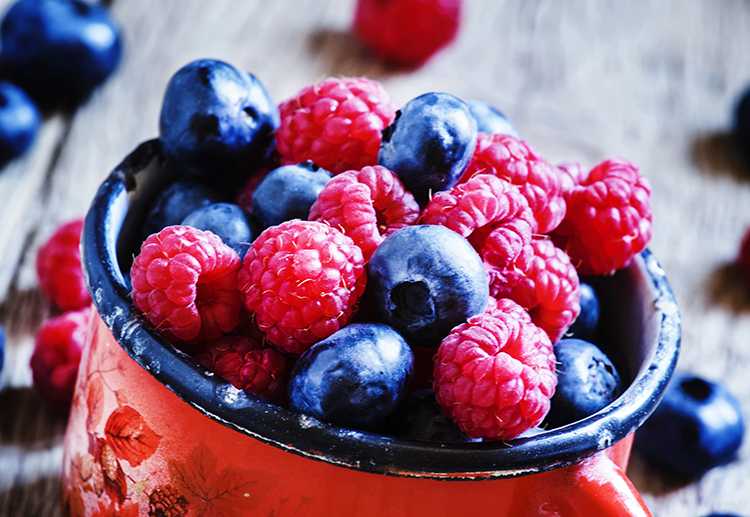 Berries have some of the highest antioxidant levels of any fruits you could eat, providing health benefits such as cell protection from free radicals as well as reducing your risk of heart disease. Like all the healthy foods listed above, berries are also high in fiber. Meaning these tasty little treats actually reduce hunger and support your digestive system, getting rid of waste substances from your body. The nutrient content in this healthy food is one reason alone why you should eat them everyday, with a high content of Vitamin C, Manganese, Copper and Vitamin K to name a few. And all for a very low number of calories as well. So, if your looking for a delicious, nutrient dense, healthy food to include in your everyday diet, look no further than a cup of berries. 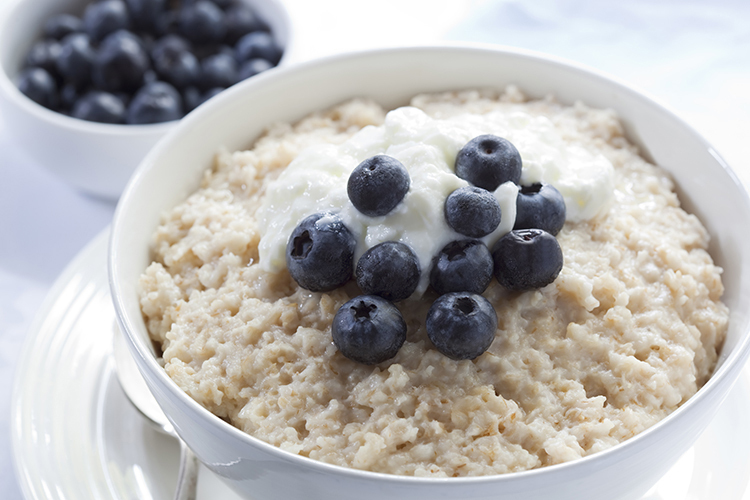 This basic breakfast has become a staple in the diets of fitness fanatics. Plain and simple, yet packed with health benefits. This carbohydrate source is possibly the healthiest grain on the planet. It is also considered to be the best carbohydrate source for those looking to lose weight as it is one of the most filling forms of the macro-nutrient. Often why it is recommended to eat at breakfast, in the form of oatmeal or porridge, to get you through the day. Oats, like many others on this list, have been shown to reduce LDL cholesterol levels as well as help to regular blood sugar levels and improve insulin sensitivity. Making it a must have for those with type 2 diabetes and those who struggle with their blood sugar levels. Having half a cup of oats everyday can drastically improve your health with the fiber, the nutrients and the antioxidants that it contains, so what are you waiting for. The number of oat recipes are endless, all you have to do is find one you enjoy. But it’s quite simple: You could fit many of these into one, big healthy breakfast. For example, you could have half a cup of oats as a porridge in the morning. You could mix your chia seeds in with that. Along with having a side of eggs – scrambled, over easy or whatever style suits you. You could have a smoothie with a mix of berries and a cup of kale, this could be with breakfast or as a snack. That is 5 of these super-foods packed into a nutritiously dense breakfast to kick start your day. You could then have a handful of almonds as a snack at any point throughout the day and make sure that you have a portion of sweet potato with one of your meals. And voila! You have all these healthy foods incorporated in your daily diet. You do not have to follow this method to get these foods in your diet however all that matters is that you make sure that you eat these healthy foods on a daily basis. If you eat all these nutrient packed foods, you will look and feel better in no time. This is why these are all healthy foods that you should be eating everyday!